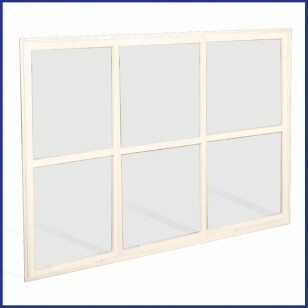 Commercial Made to Measure Window Screens. Suitable for Commercial and Industrial Use. 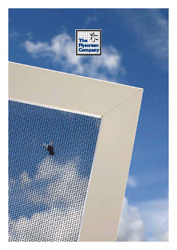 Consists of 3 insect screen panels that slide sideways on tracks within an aluminium frame. 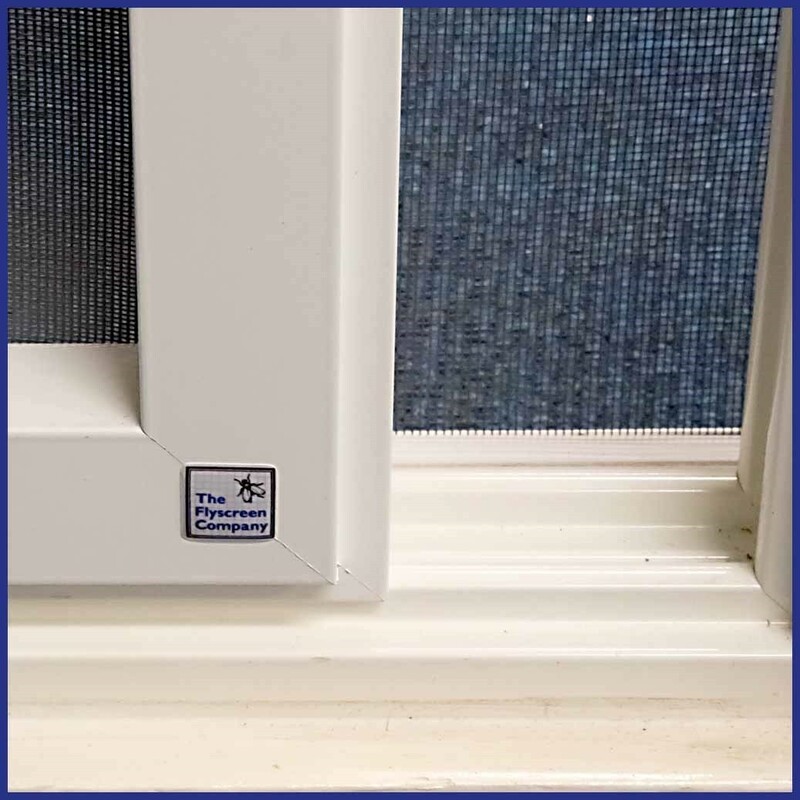 Reveal fitted within the window. Face fitted outside the reveal of the window. 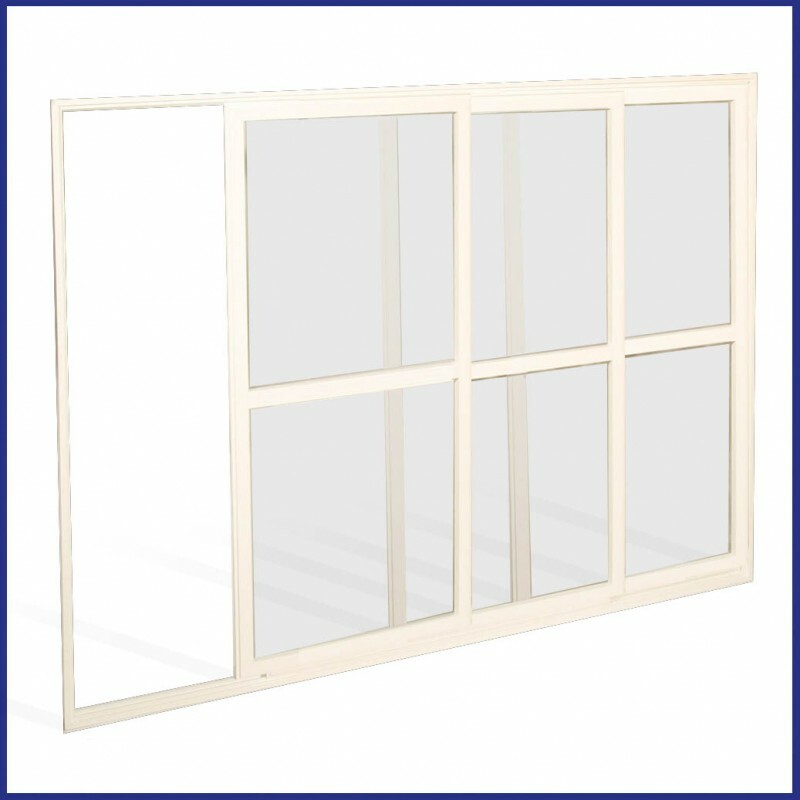 50mm deep aluminium frame provides a secure framework for the sliding screens. 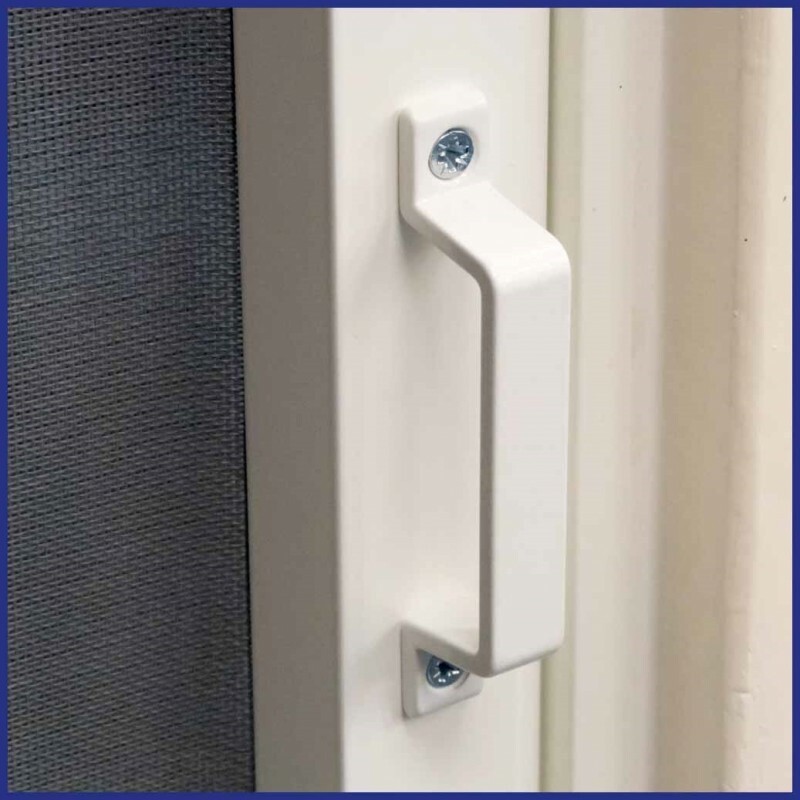 White powder coated aluminium frame. 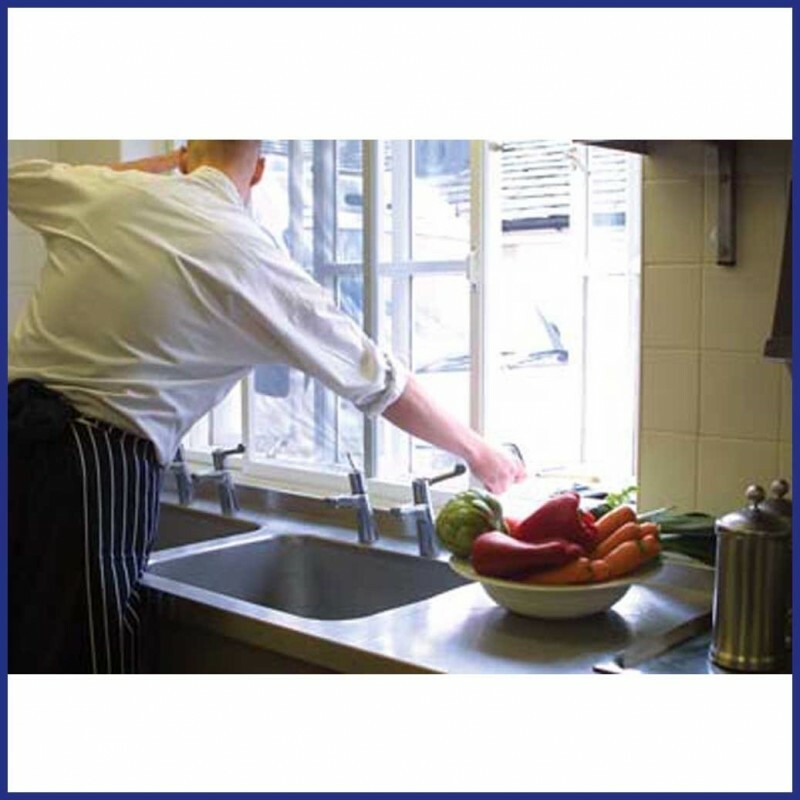 Heavy duty flyscreen particularly suitable for commercial kitchen windows, windows where the screen needs to be placed away from the opening panes, to mirror a window that slides sideways and for windows with multiple opening panes which need to be covered by one screen. 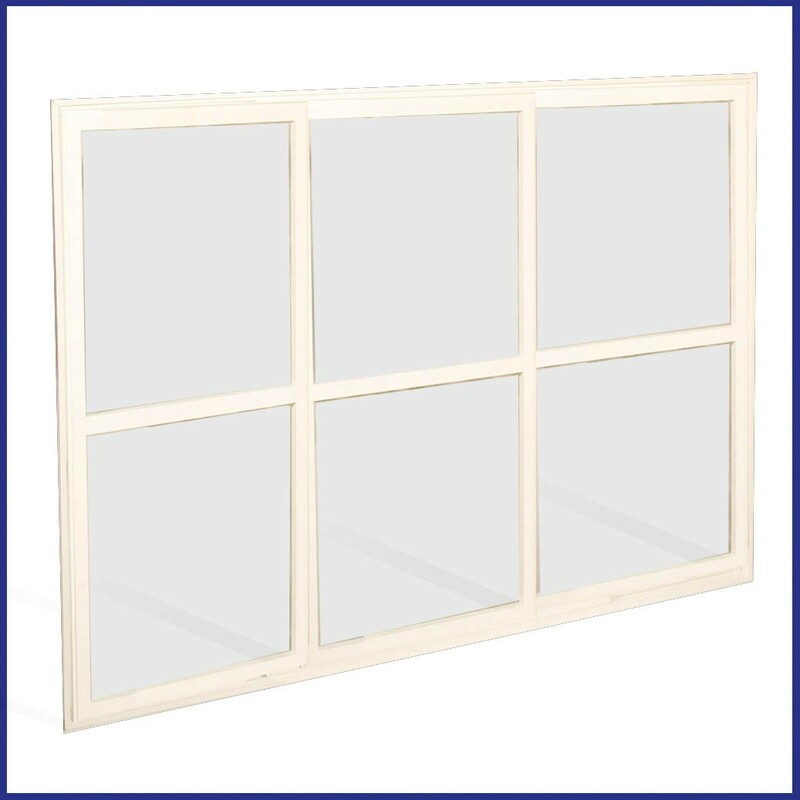 Made to Measure - we will make to the exact size you tell us (Supplied ready for you to fit). 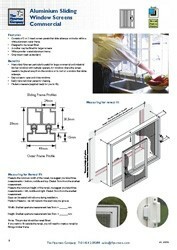 Measure the minimum width of the reveal; we suggest you take three measurements - bottom, middle and top. 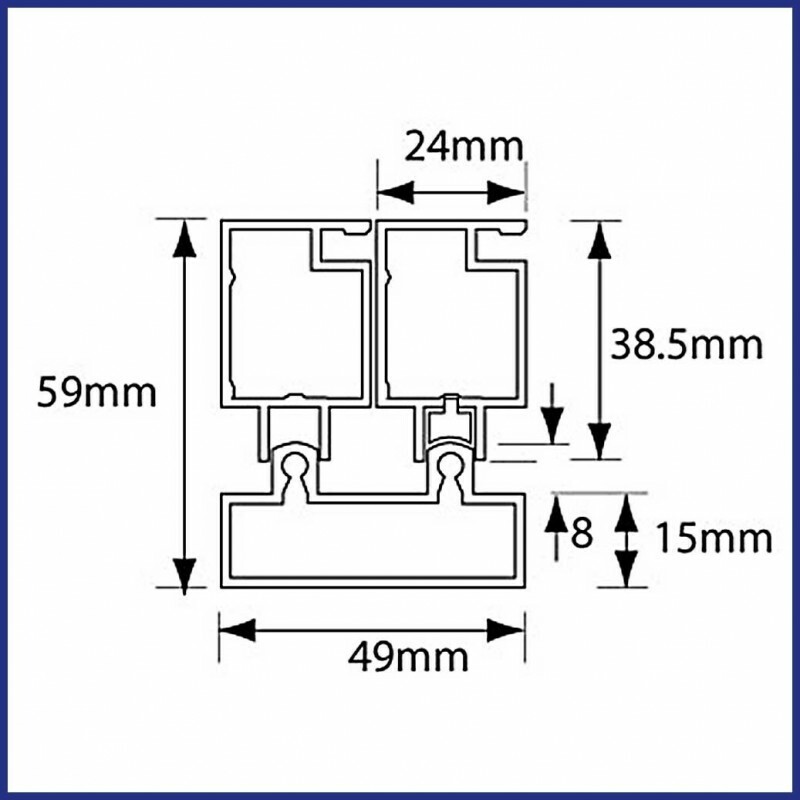 Deduct 5mm from the smallest measurement. Measure the minimum height of the reveal; we suggest you take three measurements - left, middle and right. Deduct 5mm from the smallest measurement. Made to Measure - we will make to the exact size you tell us. 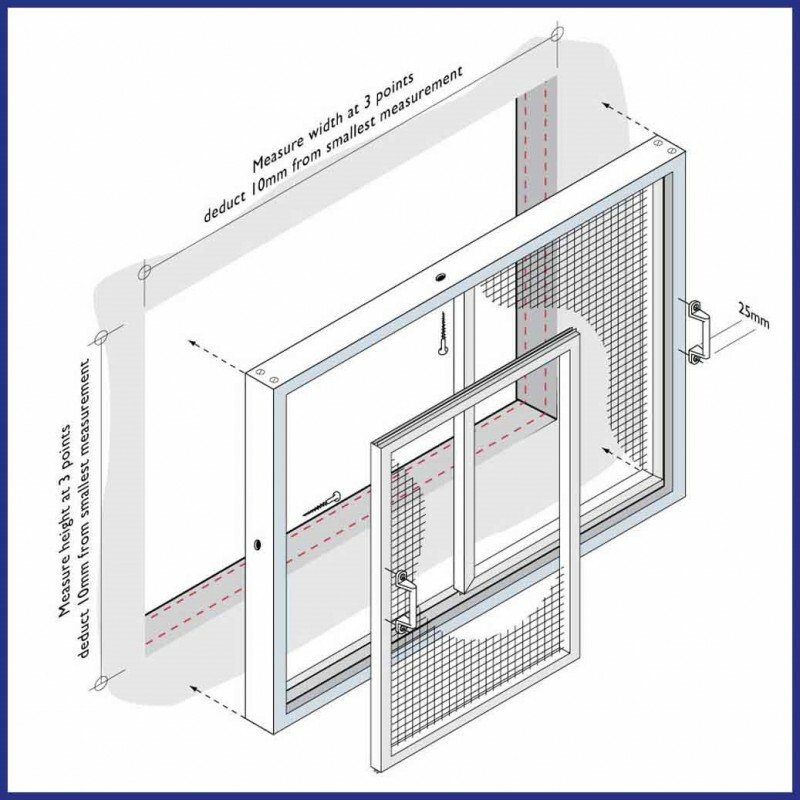 The back panel of the screen will rub against the wall as it slides, so a small subframe needs to be fitted between the wall and the screen - a miniumum of 5mm deep. We suggest you make the screen 30mm larger than the aperture all round to avoid fixing too close to the edge of the reveal.